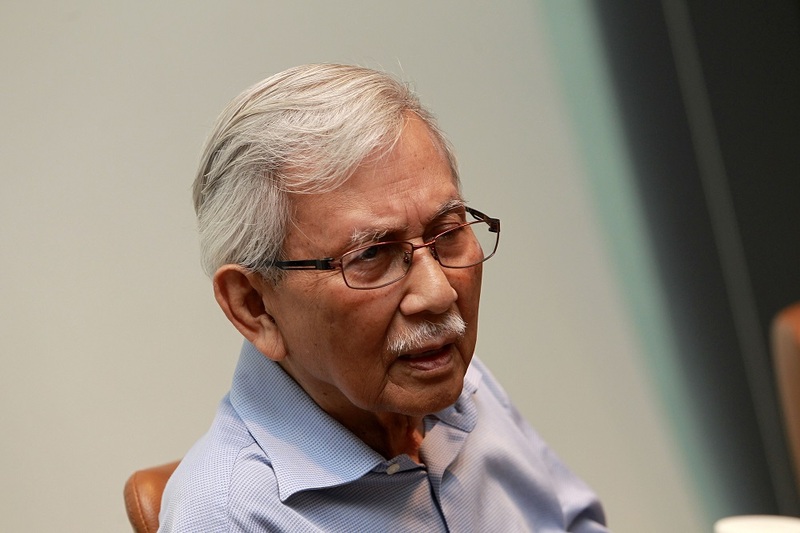 KUALA LUMPUR (Sept 12): In the latest development over alleged corruption in Kuala Lumpur land deals, former finance minister and chairman of the Council of Eminent Persons Tun Daim Zainuddin will meet the Malaysian Anti-Corruption Commission (MACC) today. Previous reports have highlighted that 91 parcels of land in KL have been sold under dubious circumstances. "In Kuala Lumpur, he (the former minister) had given away 91 parcels of lands. "We (government) have completed investigations (into the transactions) and had sent (findings) to the MACC. "Tomorrow, I will meet with the MACC. They want to talk about whether the lands should be seized. There are those (some recipients) who are willing to return the lands,” the New Straits Times (NST) reported Daim telling the media after a question-and-answer session with Kampung Baru residents here yesterday. "Some of the lands were given (through) the city hall and land offices. "The biggest piece of land was from Bandar Malaysia. Back then, I had offered a land in TRX to Petronas so that they can create a heritage (zone). But they do not want it. "Later they (unclear) took the land and gave it to 1MDB. If possible, it would be nice if they turn the land (which was earmarked as an airbase) into a recreational park," the English daily reported Daim saying. Daim was also disappointed with Kuala Lumpur City Hall (DBKL) for failing to help the Malay community in the city. “All City Hall officers are rich. They don’t prioritise Malays, they prioritise themselves,” he was reported by NST as saying. The public first heard of the allegedly dubious KL land deals when Kepong lawmaker Lim Lip Eng on May 16 lodged a report with the MACC to investigate 64 parcels of land sold by Kuala Lumpur City Hall (DBKL) during the administration of former Federal Territories minister Datuk Seri Tengku Adnan Tengku Mansor from 2013 to 2018. According to Lim, the 64 lands have a combined area of 424.29 acres and a total transaction value of RM4.28 billion. In late July, Federal Territories (FT) Minister Khalid Samad revealed that there were allegedly over 90 plots of land sold by Dewan Bandaraya Kuala Lumpur (DBKL) – more than the 64 parcels that were earlier reported to the MACC. “So, there is no reason for DBKL to sell land, which is why we are very suspicious of these sales. They (the sales) do not follow the SOPs (standard operating procedures); they do not follow the developments that are being approved; they do not follow the guidelines in terms of density, usage and so on and so forth,” he told The Edge business weekly back then. According to the report by the weekly, in some transactions, the buyer of the land – who is suspected of acting on behalf of Yayasan Wilayah Persekutuan, which Tengku Adnan chaired – is Datuk Bandar Kuala Lumpur (Kuala Lumpur Mayor). These transactions include a 15.24-acre site next to UTC Pudu which was valued at almost RM1.5 billion but was acquired or transferred to Datuk Bandar for RM700 million in October 2015, a 31.7-acre parcel in Kepong for RMM418.22 million in September 2015 and a 1.24-acre parcel in the Golden Triangle in Jalan Raja Chulan that was sold or transferred to Datuk Bandar Kuala Lumpur for RM101.05 million in April 2017. A deal that nearly took place involved 120 acres near Kepong that was called off after Pakatan Harapan swept into power during the 14th general elections. In June, Daim said the local media plays an important role in ensuring land deals made by the government are carried out in a fair and transparent way, reported The Star. He noted that mainstream media had been “timid and irrelevant” for too long under the previous government and has failed to protect the interest of the nation and the rakyat. “By exposing such scandals, it will certainly provide a check and balance in the administration. The fourth estate is important. We must always keep an eye on any wrongdoing,” stressed the former finance minister.